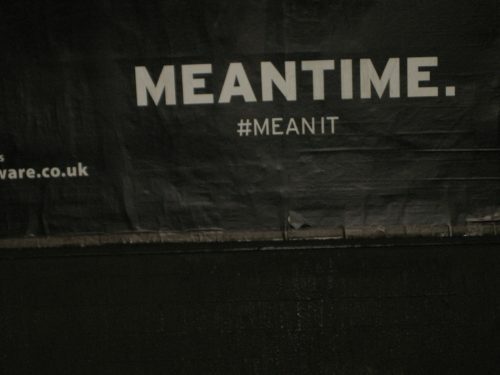 There was an advert relating to mean time. Colliers Wood. I don’t know what it was for. It wasn’t for the meantime. It wasn’t what I saw. Adverts, Profit, money motive. Seems to be the law.There will be more to follow. Like jabs upon the jaw.